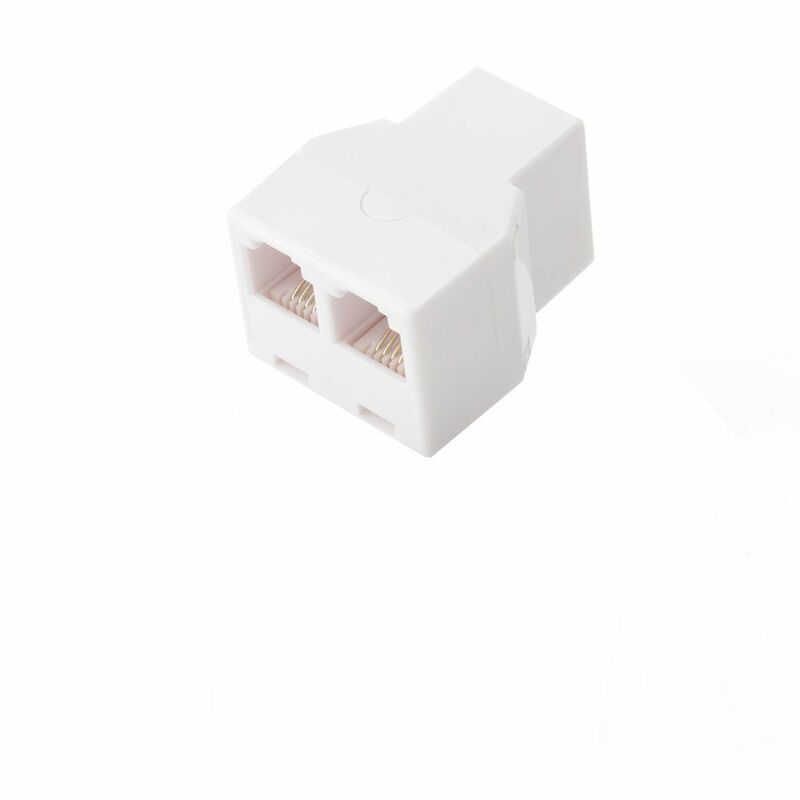 Allow 2 phone cords to connect into 1 jack module with the CE-TECH White Duplex In-Wall Adapter. This adapter offers 4 conductors. The adapter comes with a limited lifetime warranty. 2-Way Phone Splitter-WHITE (Female) Allow 2 phone cords to connect into 1 jack module with the CE-TECH White Duplex In-Wall Adapter. This adapter offers 4 conductors. The adapter comes with a limited lifetime warranty. 2-Way Phone Splitter-WHITE (Female) is rated 4.8 out of 5 by 5. Rated 5 out of 5 by Joe from Simple device, worked well.... Simple device, worked well. Rated 5 out of 5 by tmcomp from perfect product with quality.... perfect product with quality. Rated 5 out of 5 by Carolyn from hard to find for older phone jacks. only other place... hard to find for older phone jacks. only other place wanted 2x the money. Rated 4 out of 5 by Isla from This is a simple product but it has great sound, does not have a static sound like the inferior p... This is a simple product but it has great sound, does not have a static sound like the inferior products. Rated 5 out of 5 by jb1701 from phone line splitter It does just what it is supposed to and just what i wanted. It plugs into a single phone jack and gives you 2 identical jacks in its place. Great when you need to plug an additional device in such as an answering machine.